$0.3 billion or 0.4 percent increase. 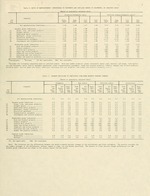 about the $260 billion level through January 1984.
declined $3.9 billion or 3.8 percent to $98.1 billion. partially offset by an increase in machinery shipments. a $0.6 billion or 3.3 percent decline in chemicals. metals $0.4 billion, and machinery $0.3 billion. 4, 1984 at 10:00 A.M.
Ruth Runyan or Kathleen Menth, (301) 763-2502. Bureau of the Census. Washington, D.C. 20233, or call (301) 763-4100 or (301) 763-2502.
are as of the end of the period and are not adjusted for trading-day or calendar-month variations. SIC 'tEct Aug. July June Aug.- July- June- Sept. Aug. July June Sept.
SIC Sept. Aug July June Aug.- July- June- Sept. Aug. July June Sept.
SIC Sept. 1979- Aug. Sept. 1979- Aug. Sept. 1979- Aug. Sept. 1979- Aug.